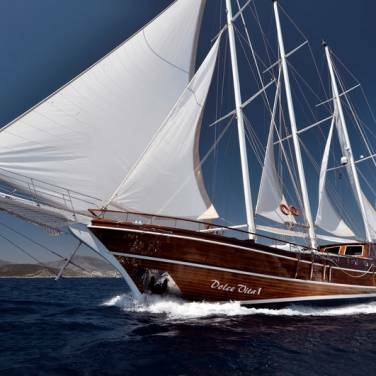 Gulet Gideon is one of the largest charter gulets in Croatia, providing a relaxing and pleasant cruising vacation along the Croatian coast. As a perfect combination of modern interior style and a classic exterior layout, gulet Gideon consists of 6 double-bed cabins and 2 single-bed cabins with an additional single bed, offering an extremely cozy accommodation for up to 16 passengers. All cabins have private en suite facilities and air-conditioning. Another important feature of the yacht is a very ample salon with a lot of natural light and tremendous exterior space, perfect for al-fresco dining, sunbathing or other leisure activities. 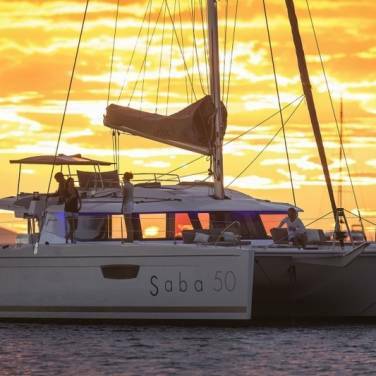 A very competent and attentive crew will welcome you aboard and take care of the navigation, making sure you have a wonderful cruising holiday. Chartering this elegant gulet allows you to select your own cruising route, enjoy a range of fun activities and experience the finest culinary creations paired with incredible regional vines. 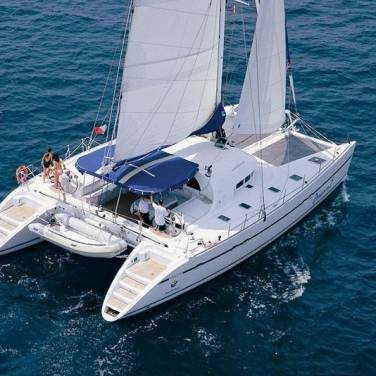 Ideal both for a lovely family sailing holiday or a dynamic yacht charter vacation with a group of friends, this beautiful gulet will help you explore the stunning islands and destinations of the Adriatic.